Tanica Thom Fernandes is THG Network’s Sales and Marketing Executive. This comes after working as a Sales Associate for companies within St. Kitts and Nevis and Guyana. Although originally from Guyana, Tanica attended the Lyn Jeffers High School on Nevis, before moving on to the Nevis Sixth Form College where she pursued studies in Business Management, Economics and Law. 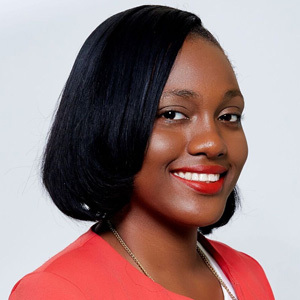 As a student, Tanica held many leadership positions including President of the Youth Council, Secretary of the Tourism Youth Group, and Vice President of the student body. She is currently enrolled in online law classes.